Deadlines to pay 2017 income tax through TMNZ are fast approaching. We understand some clients might not be able to pay by then. 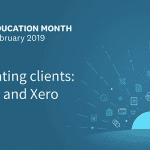 However, there are options you may wish to consider if cashflow constraints will prevent you from settling your Flexitax or Tax Finance arrangements within the required timeframe. TMNZ deadlines – when must I pay my 2017 income tax by? The final date in which to settle 2017 provisional and terminal tax via TMNZ is 75 days past your terminal tax date. If you have a 7 April terminal tax date, you have until 18 June to pay what you owe. On the other hand, if your terminal tax date is 7 February, you have until 18 April. Please refer to the table below for non-March-September balance dates. What happens if I miss the TMNZ deadline for 2017 income tax? 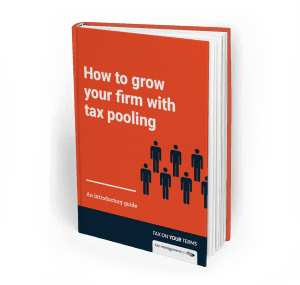 Tax pooling legislation means TMNZ can only assist up to 75 days past your terminal tax date. IRD will not accept the use of Flexitax or Tax Finance arrangements to settle 2017 income tax payments beyond that. If you cannot pay what you owe through TMNZ by then, you will be unable to reduce your interest costs and eliminate late payment penalties on the provisional or terminal tax you owe. You will be liable for IRD interest and late payment penalties. IRD will charge these from the date the tax was still due on any outstanding balance for your Flexitax® or Tax Finance arrangements. The last thing we want is for any of our clients to be in this position. 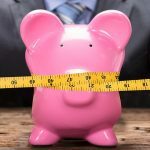 While legislation prohibits us from helping beyond these deadlines, there are other options in the marketplace that can help those with cashflow constraints. 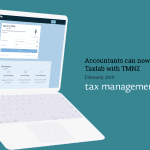 Here are some options available to help you settle your Flexitax or Tax Finance arrangements with TMNZ, to avoid IRD interest and late payment penalties. The Interface Financial Group offers an invoice discounting service. It provides money straight away to clients by purchasing your unpaid invoices. It pays up to 90 percent of the invoice amount. The only cost is a discount fee it earns on the invoice(s) it purchases from a business. Your customers then pay the full invoice amount to The Interface Financial Group on the due date. The service can be used at the sole discretion of business owners and is provided on a use-it-as-you-need-it basis. Further information: Visit www.interfacefinancial.co.nz or phone 0800 438 434 to talk to them directly. Spotcap provides unsecured business loans of up to $250,000 to small- and medium-sized businesses. You can complete this process online. Credit decisions are made within 24 hours. Spotcap gives immediate access to a credit line (from $10,000 to $250,000) upon approval. You pay a drawdown fee once you make a withdrawal and will incur interest of the amount you draw down. A business loan is created every time you draw down. The loan is repayable monthly (one to 12 months). Further information: Visit www.spotcap.co.nz or phone 0800 444 540 to talk to them directly. Lock Finance provides several lending facilities to help with cashflow depending on a business’ situation. These include debtor finance, factoring, working capital finance and trade finance. Lock Finance tends to focus on a business’ overall position to assess security rather than serviceability. Further information: Visit www.lockfinance.co.nz or phone 0800 275 5625 to talk with them directly. TMNZ is not affiliated with The Interface Financial Group, Spotcap and Lock Finance. We are not endorsing their services and do not receive any referral fees or commission from them. This information is provided only as a service to clients on options in the market. We encourage clients to do their own due diligence as we have done.